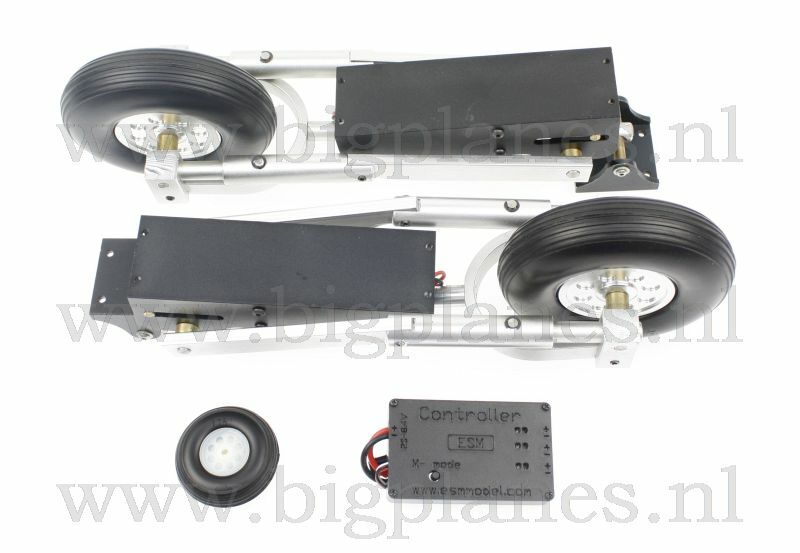 Wing span (spanwijdte) 2640 mm 103.9"
Factory painted to scale with fully functional flaps. Epoxy resin fiberglass fuselage, built up wings, covered with solartex fabric and finished with a flat paint scheme. The decals are delivered seperately. Hardware package, decals and illustrated instruction manual included. About the C-47 / DC-3... "The bazooka, the jeep, the atom bomb, and the DC-3" was Dwight Eisenhower's phrase, summing up the key equipment of the Allied victory in World War II. This immortal plane was designed by A. E. Raymond and E. F. Burton in 1935. More than 13,000 were built. Of these 10,123 were built for the military, 487 on license by Japan, almost 2,000 in Russia, and more than 800 for civil airlines just before the war. Many of these planes saw service after the war as military and civil pianes around the world. They played an important role in the 1948 Berlin Airlift. During the war in Vietnam old C-47s were transformed into ground attack gunships. 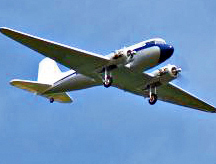 Today there are C-47s and DC-3s still flying. This may well be the finest plane in the history of aviation. The origin of the C-47 is closely and directly connected with the appearance of the Douglas DC-3, which made its first flight on December 17, 1935, and first went into service with American Airways in June, 1936, on the New York-Chicago run. 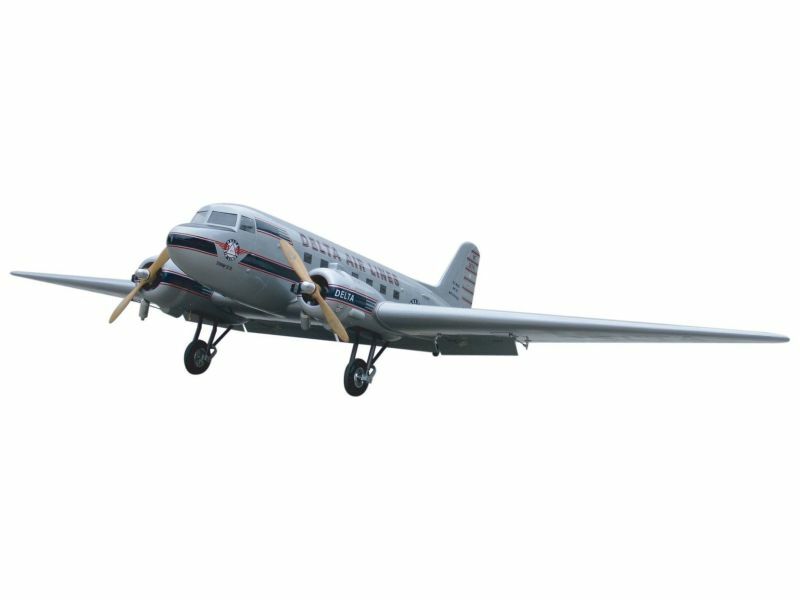 The military had acquired a few of the earlier plane, the DC-2, and proceeded to order the new plane as well, in a reinforced and higher-powered version adapted to military service. 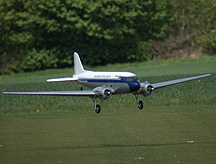 The first orders were placed in 1940, and the first production models were delivered to units the following year. When the United States went to war, the need for transport planes increased, especially in the Pacific theater. Better performance at high altitude was required in order to fly over the Himalayas between India and China. For this purpose the C-47B was developed, with more powerful engines and greater fuel capacity. The other main production version was the C-53, the Skytrooper, which was expressly designed for troop transport, parachute s, and glider towing. Several other versions were produced. Although they had different designations, they varied only in engines, cabin arrangement, and cargo capacity. The two-engine Douglas was the only transport available in substantial numbers when the United States entered the war, and it was used on all fronts. 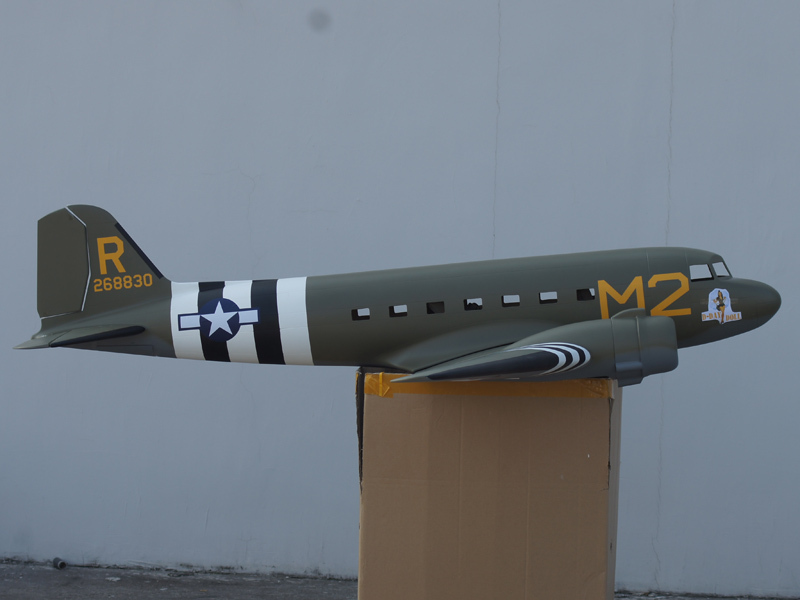 Before large-scale offensive operations such as the Sicilian landing, the Burma offensive, and the Normandy landing (with more than 1,000 C-47s present), these planes played an essential role in transporting supplies and materiel to Allied powers. During the first years of the war the main routes were from the United States to Great Britain and the Soviet Union, and from India to China. The RAF employed about 2,000 of these planes, some of them in other parts of the Commonwealth. This version was called the Dakota. After the war many C-47s were declared surplus and sold. The rest stayed in service in the American air force for another two decades. The last RAF Dakota made its final flight on April 4, 1970.
iMAX B6AC+ Universele Batterij lader (220V / 12V).